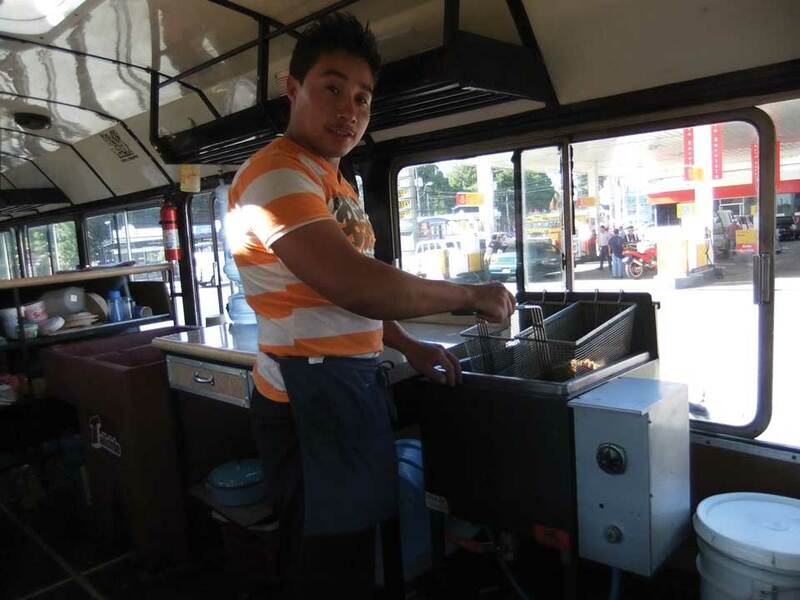 When in July of 2010 Guatemala City called for all red buses to be removed from certain parts of the capital, Hugo Cristal and his business partner Alexander Escobar came up with a novel way to keep their bus in service. 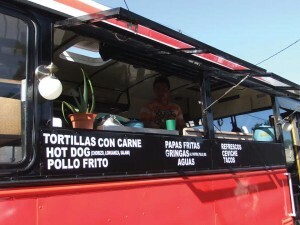 A fast-food restaurant on wheels was born. “The idea came about because we wanted to carry on using the bus, even though the route had been taken over by Transurbano buses,” says Cristal. The fleet of Transurbano buses that operates around certain parts of the city was introduced by the government to increase safety aboard public transport. But, inevitably, the new system put many red buses into disuse and many were sold as scrap metal. 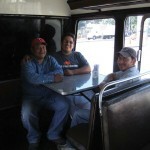 Cristal and Escobar did not want their bus to suffer the same fate. 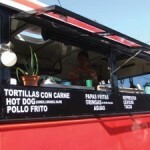 “I had experience in cooking and so we decided to turn it into a restaurant,” says Cristal. 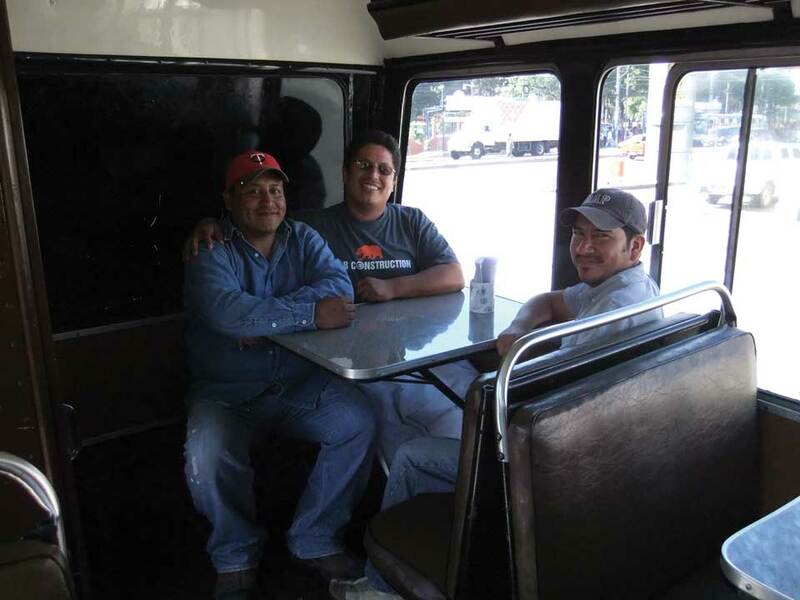 However, the former transportistas chose not to tell their family and friends about their bus’ career change until it had undergone its transformation and was ready for its first day of work. The alterations took just two months, during which time the original seats were repositioned to accommodate tables that offer indoor seating for up to 20 people. 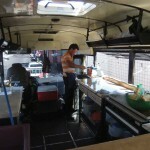 A kitchen was installed boasting a grill, a fryer, a sink and a churrasco, and some of the windows were removed to form a hatch, allowing the chef to take orders from the street. 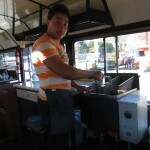 The team of three—Cristal, Escobar and their former cobrador, who used to collect the bus fares—now work from Monday to Saturday selling churrasco and fried chicken to around 100 people a day. They drive the restaurant to its regular spot early each morning, head out to buy daily supplies and then start preparing for the lunchtime rush. 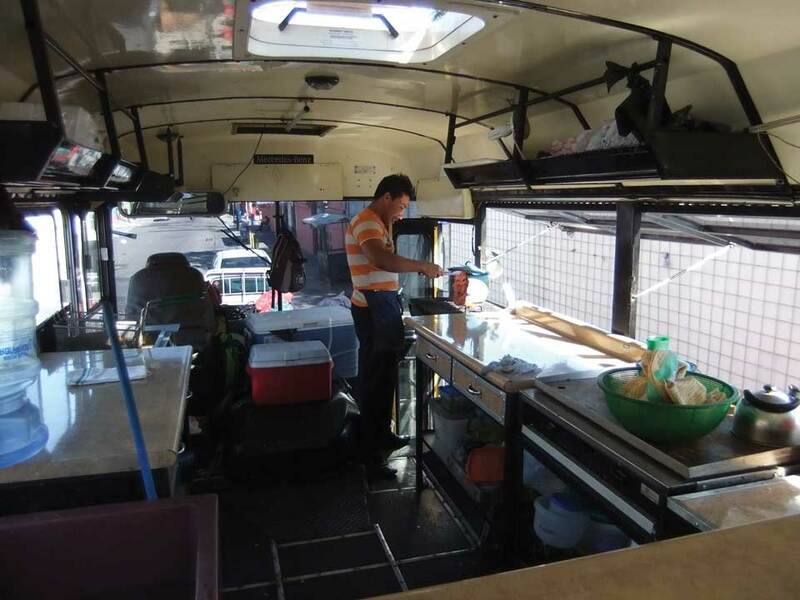 Even though the bus has only been in operation as a fast-food restaurant since last November, it is proving to be a hit with locals and students alike. 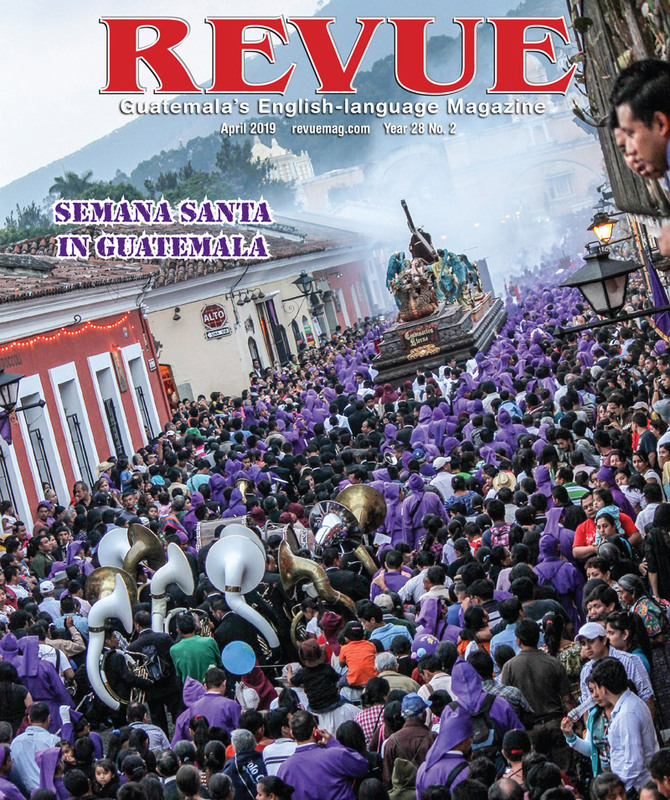 During Christmas it even catered at a handful of festive events around Guatemala City. “It has definitely been a change and it can still be stressful at times, but we enjoy it and it’s very satisfying,” says Cristal. 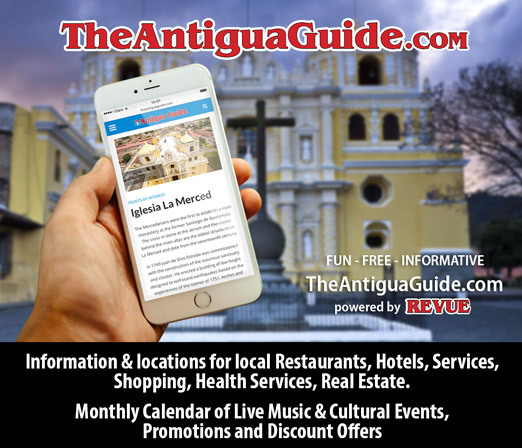 Open noon to 9 p.m. every day (except Sunday), el busito del sabor can be found parked on 33 calle, Avenida Petapa, zone 12 of the capital.